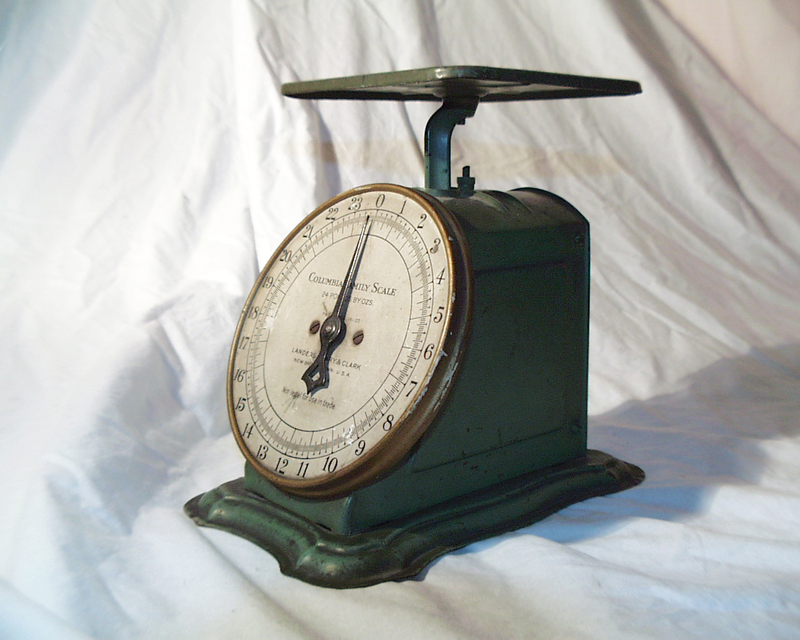 When you do a DITY or Partial DITY move, you will need to weigh your household goods so you can show TMO how much stuff you actually moved. You can weigh your vehicle, rental truck and/or trailer at many different scales throughout the U.S. to obtain these weight tickets. In my experience, CAT scales are the most convenient and user friendly. There are a ton of them around the U.S. so it should be easy to find one. If you want more options, Penske has made this awesome scale locator that includes most certified public scales. At the conclusion of your move, you will need to have obtained a weight ticket for each empty vehicle or vehicle/trailer combination and one weight ticket with the vehicle fully loaded. At the TMO at your gaining base, the empty weight ticket will be subtracted from the full weight ticket to obtain the weight of your household goods. For branches other than the Air Force, there may be specific restrictions on how many weight tickets you need and when you should submit them, so check with your local travel office. There are a couple different ways you can obtain your weight tickets. One way is to weigh your vehicle(s) empty before loading your stuff, then weigh it after it is full, either at your current base, gaining base, or somewhere on the road. The other way is to load your stuff, weigh your vehicle(s) with all of your stuff and then get the empty weight ticket at your destination after you unload everything. Either way works. Again, this is from my experience with the Air Force and other branches may have different regulations. It is also a good idea to have a full tank of gas and be standing outside of the vehicle when being weighed to keep things consistent. If you follow these tips you’re sure to be accurately reimbursed for moving your household goods. Hi! Is there a limit on how many weight tickets? For example, I actually had to make three trips. I weighed my car three times. Will they accept multiple loaded tickets on the same car? I actually weighed it 4 times, including the empty load. That’s a good question. I’m not sure you would get the MALT for all three trips but you should for the weight. I did a ppm and lost my weight tickets. i tried contacting the weight stations and they have no records. will I get any reimbursement? Doug, they should be able to do a “constructed” weight if you know the cubic feet of stuff that you moved. Also, try calling the places you got your weight tickets, they may keep records and be able to send you a copy. I hired a mover that utilizes cubic foot as opposed to pounds but I required the obtain certified weight tickets. It appears that they have not yet and my stuff is probably sitting sitting in the way warehouse . My pickup date was 12/28. Can they still get my certified weight ticket with my belongings only in truck on the way, and empty at destination … or do everything at destination.. full at destination, and empty too?. Either way will require unloading at weight station and loading backup. Can somebody please help me?. This is for a civilian US Army move. If you required them to get weigh tickets I don’t see why they couldn’t get a full weight first and then an empty weight after they unload your stuff. If they can’t do that, I know it’s possible to get reimbursed based on cubic feet as well but you’d have to talk to your travel office for more details. The weight tickets thing is something that varies branch to branch so the Joint Travel Regulations aren’t much help. Anyway, I heard you have to weigh your vehicle 3 times, Thus, while its empty, full load at origin and then at destination. And that the loaded weight at the origin should be the same at destination. Was I misinformed? Hey Ike, Happy New Year! I know the requirements for weight tickets varies between the branches, so I would definitely go off what your travel or finance office says. I know for the AF you used to only need 2 weight tickets but that could have changed as well. Thanks Jake, I appreciate your time. The office confirmed that they only needed 2 weight tickets. Thanks again. What do you do if the scales close to my destination were closed (both north and south)? It’s possible for TMO to construct the weight of your stuff by other estimations but you’d have to talk to them. If we’re driving cross country with a travel trailer, do we need the weight of the truck empty with or without the travel trailer? Thanks! Tessa, I would say without the trailer since a small single-axle travel trailer can be considered HHG and you will get reimbursed for moving it. Different branches have different requirements. Check with you based local transportation office to be completely sure on the proper procedure. Do you know how far in advance of the move you can do the empty weight? Does it have to be within a certain amount of days of the actual move? Thanks! I submitted my original claim and didn’t make a copy of the weight ticket before hand. The place that I used has gone out of business and I can’t get a replacement one. I submitted my claim by they are saying that they never received it. Is there anything that I can do? weigh master or Gov’t scales. move on a basis other than weight. (2) Use the constructed weights in par. 5204-E.
Do you know how close you need to be to your destination? I’m moving to DC from Norfolk and the only scales are around halfway between the two points. For the Air Force at least, it doesn’t matter where or when you get your tickets, as long as you get an empty and a full one.